Hello Guys, I don't know if my question is silly, but here we go. Im trying to make some Unrigged Alpha Hair, and I don't have success on the process. I cannot create Alpha Layers, the result is the same that we always had on SL with Alpha Textures. I try the process with several image formats, PNG, TGA and Alpha Blend and Mask, but nothing works. I believe that I miss something and I would like to ask for help. Thank you in advanced. Hey guys! Logged on today and it seems as if I can't get my alphas to hide. I cycled through all of my various bodies and all I get is the grey classic shape... looks like all mesh clothing add correctly, it's just the underlying (shape/skin) that isn't. Any idea as to what's going on? Hello! my names Minx! i am starting a new wolf pack dogs and wolfs alike welcome to come join!! just message me laceymichelle2 first off were looking for betas and maybe a mate for myself as i am a alpha we accept puppies and so on!!! so if your into Wolf rp and i dont mean furries or werewolf i mean actual wolf rp then please come join!! more details when you message me! it shall be fun plenty of missions and etc! i need a lil help so if you have experience with packs IM ME! Is there a fix for this? It's a large mesh that can't be resized so I'm unable to shrink the box space. Alpha masking is a good alternative, can still see environmental lighting through it with added sheen benefit, but lose gradation of transparency turning the wings opaque. My AVI has holes in her head!! Alpha probelem?? Yesterday I was experimenting with some new head and body meshes.This morning I realized that I have some large clear gaps by my left eye and and on the bridge of my nose. I though it was an alpha problem. I removed and reattached any alphas that were showing but the problem didn't go away. I went my older saved outfits with my previous head / body configurations and the problem is there too. I can;t figure it out. Please help! I don't want to walk around with holes in my head! Hey guys, trying here since I'm having trouble finding help in-world. I have the Catwa Kimberly head and Maitreya body. Two days ago I ran into this issue and have been unable to fix it myself. On my head, the scalp alpha is on (meaning you can see my brain floating around inside my head), even without the Catwa HUD being used. I've done texture refreshes, deformed, avatar reset, rebaked and even reset all my graphics preferences. The few people I've asked have said that they don't see the weird alpha headband look I've got going on but I hate this and it's really bothering me. I am using the project bake on mesh viewer and i tried to use my AK head with omega applier for bake on mesh skins and this happens to my eyes anyone can help? So lately I have been experiencing some weird issues regarding mesh bodies being worn by other people. It's typically the female mesh bodies. The issue looks like this... https://gyazo.com/175ac3a3aaddd86b2495ff47418b0171 https://gyazo.com/6a536793dcfbeb1cad60dd13fc14b8dd In the first image link, it shows random sections of the body alpha'd out, anyone wearing that same mesh body will also have the same effects. The second image shows where the part of the body really is, instead of being on the avatar. How do I fix this? hello everyone, I am making a flush tail , I use alpha textures on my tail mesh, but it act like this,is there anything I am doing wrong ? 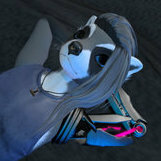 I have a DSD (Dark Spot Designs) Avatar Head atop the Maitreya body and use the second life avatar neck to transition so I made a custom alpha to reveal just the neck region in the head alpha layer. But my alpha somehow makes the system eyelids appear over my mesh head's eyes... https://i.imgur.com/WvYngC2.jpg (the issue) https://i.imgur.com/PmA4h4L.jpg (cleared up with full layer hidden) https://i.imgur.com/v6PNNj7.jpg (and with my custom alpha on) https://i.imgur.com/uJvg3H5.png (my alpha layer) https://i.imgur.com/VjwSke9.png (my alpha layer overlaying the head uv for clarity) My alpha does not come anywhere near the eye, brow, or eyelash region so I have no idea what I can do to fix it. Also, the eye alpha layer has no effect on the issue. Any suggestions anyone can give would be great. Thanks in advance.